Following Pokemon GO Chicago Fest debacle, Niantic announced that four out of the seven live events planned for this summer across Europe had been pushed into fall. The US-based company confirmed earlier this month that seven European cities would host Pokemon GO safari zone events starting August. Unfortunately, if you've already purchased tickets for any of the first four, then you'll have to wait for Niantic to announce when they will take place since they have been postponed until a date late in the fall. Initially, these events were scheduled for August 5 (Copenhagen and Prague) and August 12 (Stockholm and Amsterdam), but they have been delayed, Niantic announced in an official statement. We apologize for any inconvenience and hope you understand that our priority is to ensure a great experience for Pokémon GO Trainers in Europe and around the world. 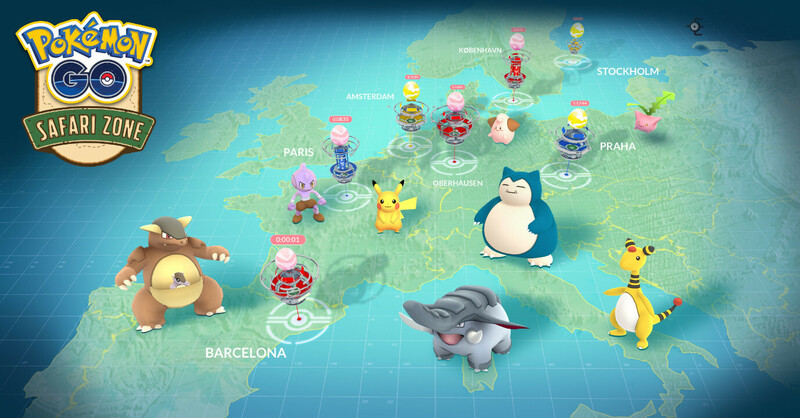 To make it up for the delay, Niantic announced that some Pokemon that are rarely seen in Europe would soon be appearing in certain European cities for a brief time. No f**king way! Sorry for that. How many times can a company screw up before they're all sacked? Honestly, if this was anything other than pokemon, they'd be long dead.